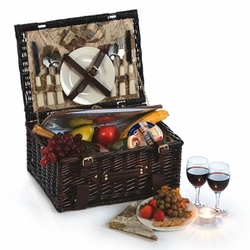 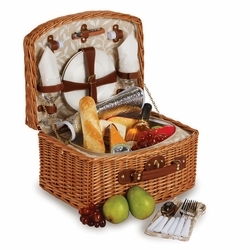 This handcrafted Willow Baxter Picnic Basket from Picnic Plus comes with a set of two ceramic plates, stainless steel flatware, glass drink ware, and cotton napkins. 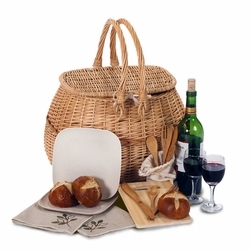 With the large thermal foil insulated removable cooler section, you can take-a-long food, wine, snacks and beverages for a romantic picnic, concert, stroll in the park, afternoon at the beach, or evening dinner under the stars. 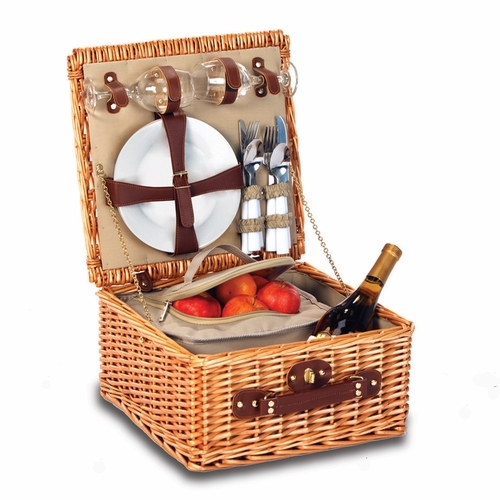 Easy to transport by the front carry handles. 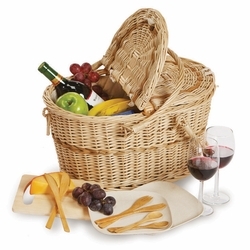 Designed in the USA, this basket also makes a beautiful bridal or wedding gift.